What's on Netflix > Netflix News > When will Season 4 of DC Legends of Tomorrow be on Netflix? When will Season 4 of DC Legends of Tomorrow be on Netflix? It’s almost that time of year again to get yourself strapped into the Waverider with another season of the DC Legends of Tomorrow on Netflix. But when will season 4 be on Netflix? We’ve got everything you need to know about when the DC Legends of Tomorrow season 4 will be on Netflix US and other regions. 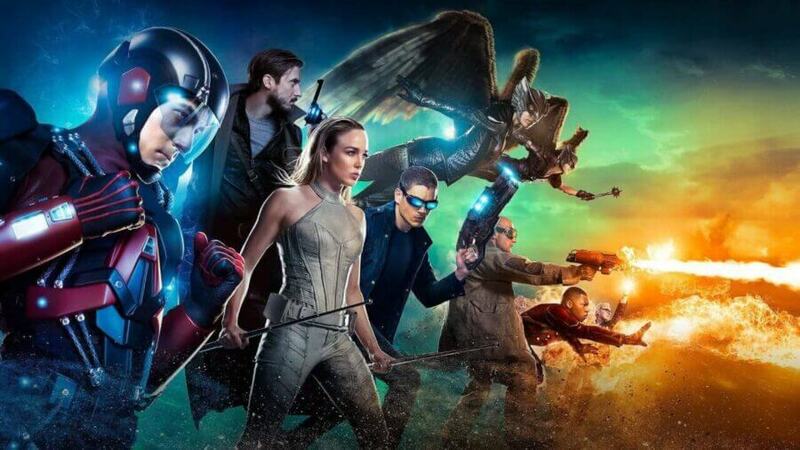 DC Legends of Tomorrow debuted Mid-Season during the Flash Season 2 and Arrow Season 4 in 2016. The heroes of the show had previously appeared in both Flash and Arrow while also introducing new heroes previously unseen in the series. By bringing all these heroes together allowed the CW to utilize characters that deserved more screen time. Rip Hunter sacrificed his life destroying the time drive of the Waverider to kill Mallus. Rip’s sacrifice was in vain as Mallus takes on Damien Darkh as its new host and arrives to confront the Legends. The Legends use the totems of Zambasi to summon an avatar to destroy Mallus. In the aftermath of the fight with Mallus, Zambaya leaves the crew and returns to Zambesi. Ray Palmer gives Damien’s time stone to his dirty asking her to make the most of the second chance. Having a well-deserved break in Aruba 2018, the Legends relax by the pool when Constantine makes an appearance to alert the Legends that by freeing Mallus they have freed many more demons. Season 4 will see the Legends travel through time to recapture the escaped creatures of legend creating havoc through time. Since 2016, Netflix struck a deal with The CW which stipulates that new seasons get added roughly a week or two after the finale airs. For season 3, that meant the last episode aired on April 9th, 2018 and arrived on Netflix on April 20th. Season 4 will be finishing far later this year as season 4 is on break until April, 1st. It will take another 7 weeks before the show finishes its 16 episode run. Therefore we expect the season to arrive at the start of June. There aren’t many regions that are streaming Legends of Tomorrow outside of the US. For those in the United Kingdom, the television network Sky has the exclusive rights to stream the DCU content. You’ll only find the new season streaming on Now TV and Sky Go. Are you looking forward to watching season 4 of Legends of Tomorrow on Netflix? Let us know in the comments below. Next story The Cast of “Hemlock Grove”: Where Are They Now?